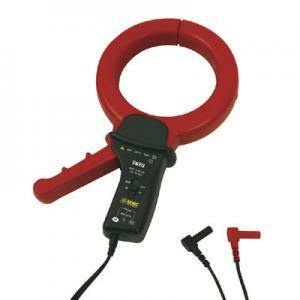 AEMC 2620 Leakage Current Meter and Probe - AC Current Electrical Leakage Probe measures leakage current shunted to ground caused by insulation faults. It enables the operator to locate failures when they occur, or anticipate them before they occur, without shutting down equipment or spending hours troubleshooting. 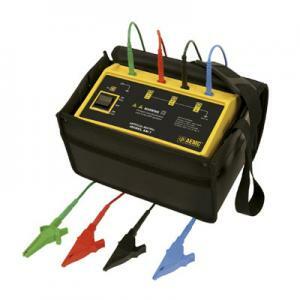 It is designed specifically for locating low current faults on high current loads. 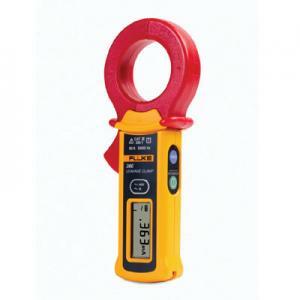 The detector is a sensitive nickel alloy AC current transformer capable of measuring differential or leakage current as low as 500µA, and may be used to measure current up to 400A continuous duty. The AC Current Leakage Meter and Probe model 2620 provides two output ranges: 1mV/mAac or 1mV/Aac. The output leads are terminated with standard 4mm banana plugs capable of interfacing with any standard multimeter. 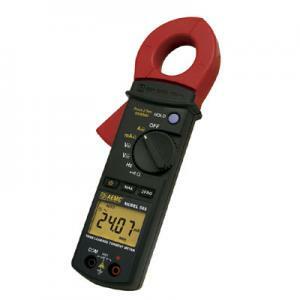 With its 4" jaw opening and range of 500µA to 200A, the model 2620 provides a versatile way to analyze unbalanced current measurements, leakage values on grounding conductors and ground loop currents. 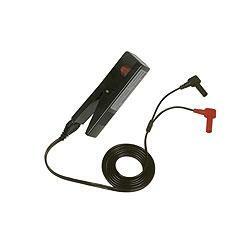 The AC Leakage Current Probe locates low current faults.